Each post gets you an entry into our drawing. The more you post the more chances you have to win. 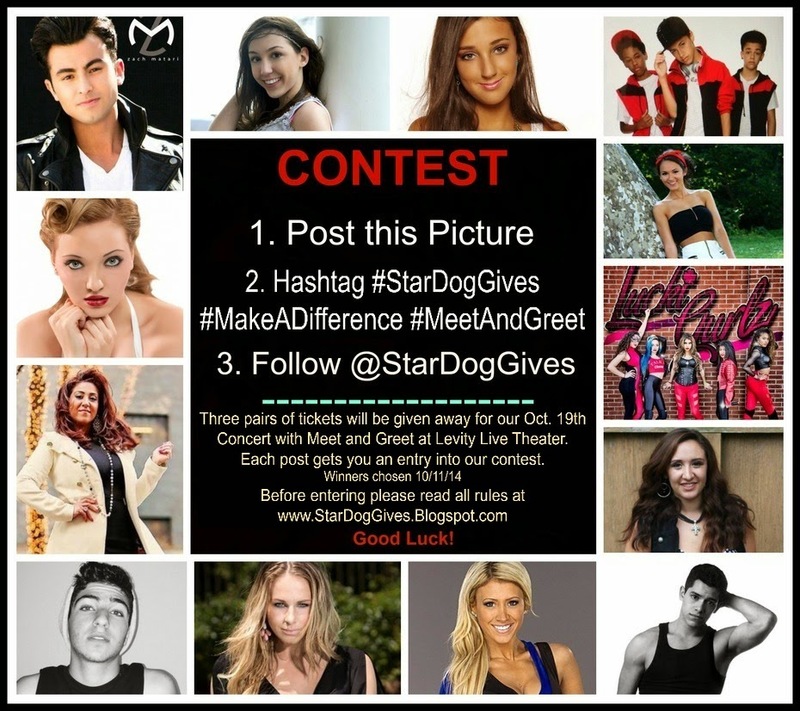 Winners will be chosen and posted on the StarDogGives Instagram page on 10/11/14 at 9am est. 1. Eligibility: This contest is open to all legal residents of the United States who are 13 years of age and older (under 18 please ask parent/guardian permission before entering) and who has an Instagram account. This Contest is void where restricted or prohibited by law. 4. Chances of Winning: Odds of winning depends on the number of valid entries received. Each post gets you an entry in our drawing. The more you post the more chances you have to win. Entrants may not enter with multiple Instagram accounts, nor may entrants use any other device or artifice to enter multiple times or as multiple users. Use of computer programs and/or other automated device to enter the Contest is prohibited. 5. Winner Selection and Notification: All entrants usernames will be placed into a bowl and 3 winners will be pulled at random. Only one winner per username (if duplicate username is drawn on second or third round a new winner will be chosen) Winners will be posted on the StarDogGives Instagram page on Oct 11, 2014 at 9am and will be contacted via DM on Instagram. If winner does not respond within 48 hours of contest end then an alternate winner will be chosen. In order to receive the prize, the winners must, within 48 hours, provide a valid email address. Email address will be requested and required of winner to receive ticket confirmation. If email address is invalid or undeliverable and a second attempt is unsuccessful then an alternate winner will be chosen. 6. Claiming Prize: Winners will pick up their 2 General Admission tickets the day of the show at the Levity Live Theater 4210 Palisades Center Mall West Nyack, NY. Ticket winner will need to provide photo id at the door. If winner is under the age of 18 a parent or legal guardian must accompany the minor and provide photo id to claim the prize. Parent is not required to attend the show. You must create or possess an Instagram account in order to participate. Instagram is available through mobile devices and is a free downloadable app.